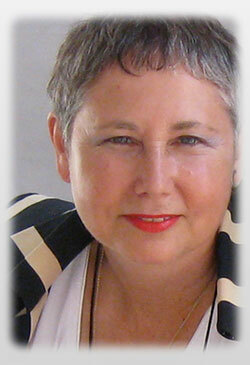 Sandra Schulberg is an accomplished producer, specialized in international film finance. She spent seven years in Europe as a senior executive for American Playhouse/ Playhouse International Pictures, charged with securing European and Japanese financing for American independent films and TV dramas. She helped to finance and market more than a dozen Playhouse movies, including I Shot Andy Warhol, Angels & Insects, Amateur, Safe, Daughters of the Dust, Thank You and Good Night, and Julie Taymor’s first film, Fool’s Fire, and served as executive producer of Roosters and Shimmer. For three years after that, she managed film investment for Hollywood Partners, one of the private German media funds, providing financing and serving as executive producer for the Oscar-nominated Quills, starring Geoffrey Rush and Kate Winslet; Undisputed, starring Wesley Snipes and Ving Rhames; The Last Yellow starring Samantha Morton; and Adrienne Shelly’s first feature, I’ll Take You There, among others. Under her own banner, she produced John Hanson’s Wildrose, Jill Godmilow’s Waiting for the Moon (Sundance Grand Prize-winner); line produced Glen Pitre’s Belizaire the Cajun; and co-produced Ann Hu’s Shadow Magic, among others. She also helped to raise finishing funds for Barbara Kopple’s non-fiction feature, My Generation. For producer Mike Hausman, she worked as production manager of Marco Ferreri’s Bye Bye Monkey, starring Gerard Depardieu and Marcello Mastroianni, winner of the Cannes Jury Prize. She was associate producer of the first two Cannes Camera d’Or winners, Alambrista and Northern Lights, and handled foreign sales for those films. Her latest movie, Exposed by Beth B, premiered at the 2013 Berlin Film Festival and is currently in U.S. release. A longtime advocate of independent filmmakers, she founded the Independent Feature Project and IFP Market; co-founded First Run Features; served as one of the first nominators to the Sundance Filmmakers Lab, and, for five years, as a member of the Sundance Film Festival Advisory Committee. She helped lobby CPB for funding that resulted in ITVS, and served on the ITVS board during its creation of LinkTV, a world affairs satellite channel. In 2003, she began a large-scale effort to preserve and exhibit the films of the Marshall Plan, and, with the support of the Academy Film Archive (AFA), created a 25-film retrospective, Selling Democracy: Films of the Marshall Plan, 1948-1953, that has been touring U.S. and European cities since 2004. She is currently in production on a Marshall Plan film DVD collection, which will include interviews with surviving Marshall Plan filmmakers, and a companion book. To learn more about the Marshall Plan films, visit www.sellingdemocracy.org. In the spring of 2006, Schulberg received a grant from the Righteous Persons Foundation to research and write a book with her uncle, Budd Schulberg, about the hunt for Nazi film and photo evidence that was used at the Nuremberg trial. Based on newly uncovered family letters and documents, the book is entitled The Celluloid Noose. In 2009, she completed (with Josh Waletzky) the restoration of Nuremberg: Its Lesson for Today. An Adjunct Assistant Professor at Columbia University, she teaches Feature Film Financing and International Co-Production in the graduate film school, as well as film financing tutorials around the country. In 1994, she received a Spirit Award for her contributions to American independent cinema. Born in Paris, she is fluent in French, Spanish and German. Her BA (in Anthropology) is from Swarthmore College, and she has done post-graduate studies in Public Diplomacy at the University of Southern California. She can be contacted at sandra.schulberg@gmail.com.